For Energy Medicine and Energy Psychology to be taken seriously by health professionals and mental health professionals, articles that describe energy healing and its research support, clinical applications, or "mechanisms of action" have to be available in the professional literature. David "tithes" some of his time each month to writing papers for these generally unglamorous publications. Over the next several months, four new papers he has been working on for the past two years—which address these three areas—are finally coming to completion and being published. 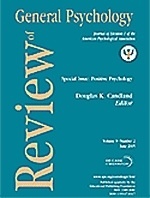 The topics of the papers include 1) a review of the research addressing the question of whether Energy Psychology works, 2) the role of "energy" in Energy Psychology treatments, 3) the evidence for surrogate (at-a-distance) tapping, and 4) a close look at why Energy Psychology is so effective in treating PTSD. The first surveys 51 peer-reviewed papers describing outcomes of Energy Psychology treatments and just became available in the "Online First" area of Review of General Psychology, a flagship publication of the American Psychological Association. It stands to be a key in shifting the way psychologists view Energy Psychology. Psychologists pay attention to research findings, and every one of the studies reviewed in the paper reported positive outcomes! Conditions helped included PTSD, phobias, specific anxieties, generalized anxiety, depression, weight control, physical pain, physical illness, and athletic performance. Eighteen randomized controlled trials (the gold standard in clinical research) were identified and critically evaluated for design quality. The report concludes: "These studies have consistently demonstrated strong effect sizes and other positive statistical results that far exceed chance after relatively few treatment sessions." The papers were authored or co-authored by more than 100 separate investigators, with similar findings having come from more than a dozen countries. Even though this study—and the substantial body of evidence it presents—is appearing in a prestigious APA journal, the struggle for credibility is not over. The APA's 1999 policy still stands: APA partners who provide professional continuing education can lose their CE sponsorship status by offering credit to psychologists for taking an Energy Psychology course! In short, one side of the APA's brain isn't coordinating with the other. Unfortunately, the losers are the many suffering with PTSD and other painful and disabling conditions who turn to psychologists and mental health agencies that have not looked into Energy Psychology because of the APA's far-reaching influence. The new study, however, means that those of us who are working with the APA, and encouraging it to change its position, have firmer ground to stand on.